TThe coal business boomed for the small town of Bramwell, located along the Bluestone River in southern West Virginia. Coal served as the basis for its economy. Mining it was an integral part of people’s lives and their relationship to the land. America’s late 19th century drove those seeking wealth to open the first coal mine in southern West Virginia, which shipped out coal in November of 1884. Three years later, three additional mines added to the loads of coal moving by rail to the mills and factories whose operations depended on it. In 1888, Bramwell was formerly incorporated. The newly-incorporated town quickly rose to become the business capital of the coalfields in southern West Virginia. Bramwell prospered, as did the coal industry. By the turn of the century, Bramwell was home to at least 13 millionaires, which was the largest number of millionaires per capita of any town in the United States at the time. By 1900, the population numbered approximately 8,000. “In June of 1910, everything changed,” Stoker said. A fire destroyed most of the businesses in town, leaving only the mines as a source of income for the residents of Bramwell. With no other business, Bramwell became more of a bedroom community than a center for commerce. Businesses moved away to nearby Bluefield, W.Va., and though the coal mines were still lucrative, people had less of a reason to come into town. As petroleum supplanted coal as America’s principle energy source, demand for work in the mines dried up. By 1959, only 170,000 mine jobs remained nationwide, down from 640,000 jobs at its peak in 1919. 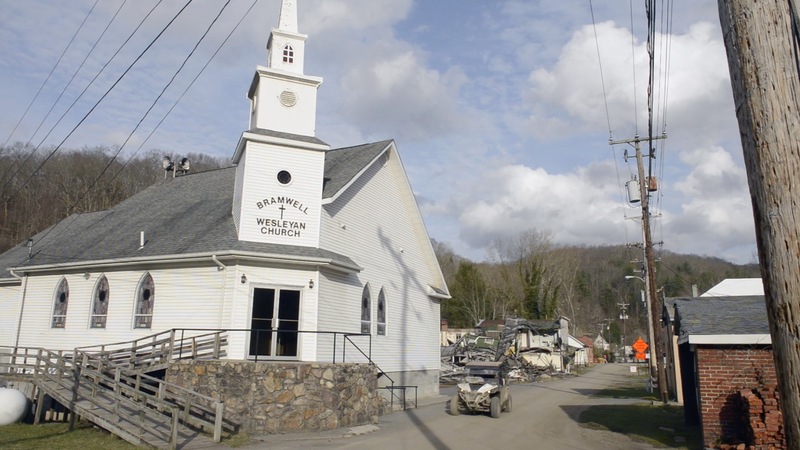 Like other towns in Appalachia, Bramwell’s economy steadily collapsed. This downward trend continued until recently, when only 364 residents remained. Today, five families remained rooted in Bramwell spanning back to the early booming days. Stoker’s family is one of them. Stoker’s daughter, Dana Cochran, also lives in town with her daughter, who marks the fifth generation of women in their family to call Bramwell home. Lou Stoker, mayor of Bramwell, WV, sits for a portrait at her desk in town hall. An overview of Bramwell's Historic District, as seen from Bramwell Hill Road on the northwest side of town. Donnie Goins, officer of Bramwell Presbyterian Church, sweeps away dust and gravel left behind by salt stored on the street for winter months. Behind him is the Goodwill House, one of the many buildings recognized by the National Register of Historic Places in Bramwell’s Historic District. 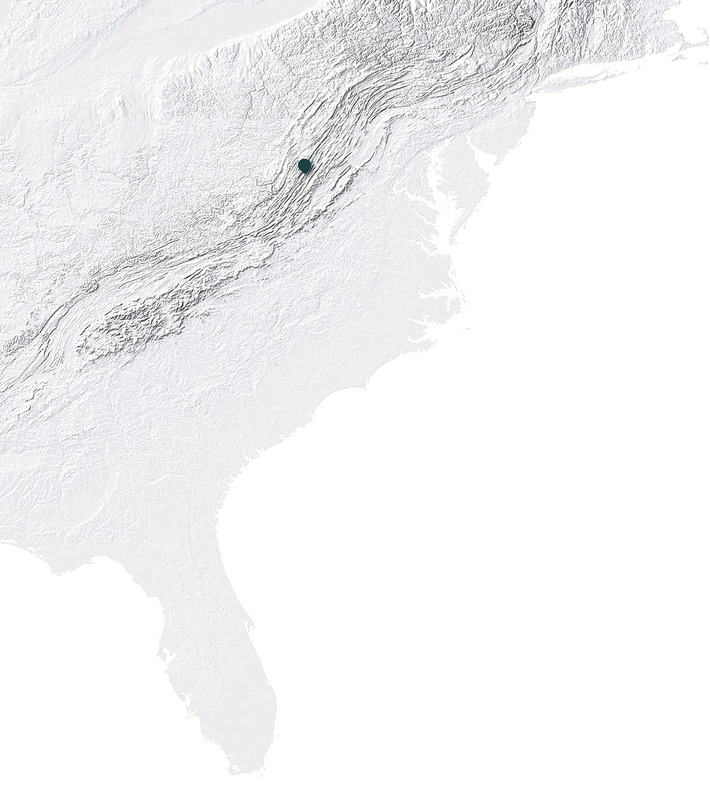 An overview of the landscape surrounding the closest coal operation to Bramwell, a mountaintop removal site, near McComas, W. Va. The aftermath of a section of the mountaintop removal site near McComas, W. Va. Though none of Bramwell’s coal mines still operate, the remaining coal operations have moved above ground in search of coal. Though some feel the pull of past generations, the population remains relatively stagnant. Cochran cites another recent event for the further dissolution of the Bramwell community. Bramwell High School, home of the Millionaires, closed in June of 2004. This began a series of other closures that eventually left Bramwell without schools. “It took away a big part of the heart of this community,” Cochran said. With few businesses and no schools to attract new families, little remained in the area for the next generation. At 20 years old, Seth Lowe serves on the town’s volunteer fire department and lives in the house where he grew up. “Most people my age feel that there isn’t hardly any jobs around here and that’s just how it is, so they’re just going to have to move away,” Lowe said. Another volunteer firefighter, 20-year old Bobby Perdue, finds it difficult to stay. “When I get that opportunity, I’m going to take my fire fighting to a different place. Somewhere big, somewhere not as old as Bramwell. But, I like Bramwell, so I’ll stay here a little bit longer,” said Perdue. In the past four years, a new economy has begun to revitalize the historic town— tourism. The off-road trails draw all-terrain vehicles and dirt bike riders to Bramwell, and created new opportunities for business. With this new found cash flow into the economy and new blood into the community, the Hatfield McCoy ATV Riding Trails have kept Bramwell from falling off the map like many other former coal boomtowns. As the trails grow in popularity each year, the millionaire spirit of Bramwell looks to prosper again. Tony Boothe drives his ATV up a road around Bramwell. The roads in the area are open to traditional vehicles as well as ATVs and dirt bikes. Frank Stanley Jr., left, works alongside others to build new cabins at the Pocahontas ATV Resort. The rise in tourism is creating growth in the area, and building more opportunities for local workers. Melinda Boothe, manager of the Pocahontas ATV Resort, exits one of the resort’s cabins after cleaning it for the next guests. Weekends in the spring and summer are the peak seasons for ATV resorts in the area, though the Boothe’s resort has seen an increase in booking from 20% of the year to 70% of the year since 2012. Different trails in the Pocahontas Trail System are strewn across the mountainsides surrounding Bramwell. The Pocahontas Trail System, one of Hatfield McCoy’s 6 off-road trails in West Virginia, has approximately 57 miles to traverse. Tony Boothe rides his ATV on the Pocahontas Trail System.